Please leave your feeback here..
We asked Darren to take on the build of our large ground floor extension - and he has delivered it in spades! It can be a very worrying experience when you embark on this process, especially when you are new to the area. However, we need not have worried. From start to finish, D Bruce Building Services have been outstanding. Nothing was ever a problem despite some big unexpected challenges as the build unfolded. Darren continuously displayed a 'can do' and positive attitude to achieve the outcomes we wanted as the customer. All of the trades people involved were positive, friendly, polite and courteous to our needs. Hard working, clean & tidy and very professional. We would genuinely recommend Darren and his specialists to carry out your building work. We recently decided to do a loft conversion on our house. We aren't from clacton so decided we would get 3 quotes and choose the middle one. However D Bruce was the cheapest. Almost exactly our initial budget. As he came recommended by some of the guys I play rugby with and the architect we chose him. We found him to be courteous and professional and always ready to answer any questions we had. The quality of the work in our loft is outstanding, we love it. Also whenever you undertake a project of this size there will be problems, we had a few issues with building regs. He sorted these all with the minimum of fuss and much to our relief stuck to his original quote. Would definitely use again for any future projects. Darren Bruce builders just completed a ground floor extension on our house and did an excellent job. Hardworking, skilled builders have done a quality job nothing too much trouble, reliable neat and tidy team. Highly recommended. My wife and I have had a lot of work done to our various properties over the past few years and have always struggled to find a good, reliable builder at any price. We have tried everything from friends at mates rates to recommended contractors at extremely high premiums and we have always been left disappointed. Sometimes due to the quality of the work, other times due to the time it took or ballooning budget and others due to a combination everything. 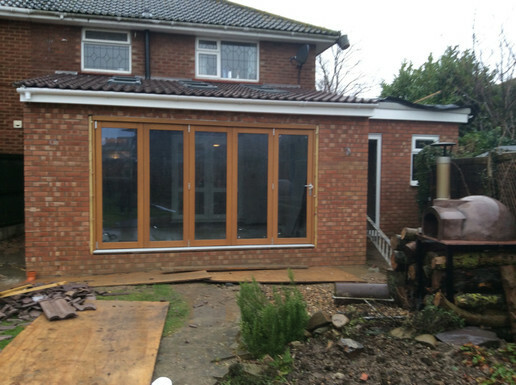 The last piece of work we had carried out was a garage conversion at our family home. 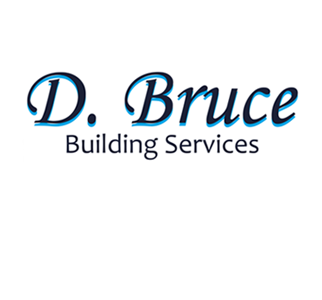 We contacted a number of builders for a quote and in the end decided to go with D Bruce Building Services. I can honestly say this is the best decision we have made in relation to hiring people to carry out work on our houses. Darren and his team left us with nothing to think about and nothing to worry about, they would turn up bright and early and work solidly throughout the day. They were all very friendly and gave us every confidence that the job would be done properly, always opting to do things right as oppose to quickly. They finished the work well ahead of schedule and all within budget. What more can you really ask for? We are planning an extension, loft conversion and other internal work and I can honestly say I will be going to D Bruce Building Services for all of it. I cannot recommend Darren highly enough and am delighted we have finally found a builder we can trust. Mr Darren Bruce, of Bruce Builders, recently undertook conversion work in my home. The project entailed removing the dividing wall between my kitchen and utility room, creating an integral door into the garage, bricking up the utility room exterior door and replacing it with a window. Unfortunately, due to no fault on the part of Mr Bruce, there was a major problem which resulted in additional costs in both labour and equipment. I was very concerned at this point and Mr Bruce was aware that, had I known of the possibility of the extra work and the costs involved, I would not have gone ahead with it. However, I cannot praise this man enough because he, like several other builders who quoted for the work, was not aware of any potential problem but he immediately assured me that, as a gesture of his goodwill, he would stand the additional cost of completing the job. Not many builders would have had the integrity to do that and, being a man of his word, he invoiced me only for the original work. I should add that I am very happy indeed with all aspects of his and his employees work, so much so that he is currently carrying out building work for my parents on my recommendation. I would very happily recommend Darren Bruce to potential customers. We first used Darren’s services to reconfigure some of the upstairs of our house, to gain extra space in one of the bedrooms. This involved removing part of the chimney breast in one room and knocking down and rebuilding a dividing wall between 2 of the bedrooms. After researching local builders on the My Builder website, I asked Darren and a few others to come and quote for the work. Darren’s quote was competitive, but more importantly he came across as very trust worthy and honest, and provided a more consultative service than the other builders, explaining what would need to be done and providing advice on who to speak to regarding engineering calculations for the removal of the chimney breast. We had also requested for a radiator to be moved in the sitting room, as we were awaiting delivery of a new sofa, which would not have fit in with the radiator in its original location. As the delivery date for the new sofa was fixed, this was a time critical job and Darren worked around us to ensure that this part of the work was completed prior to the delivery date, whilst the remainder of work (to the upstairs) was completed later. As my husband and I both work, Darren was very accommodating in organising for the relocation of the radiator to be completed around our work schedules at a time that suited us. 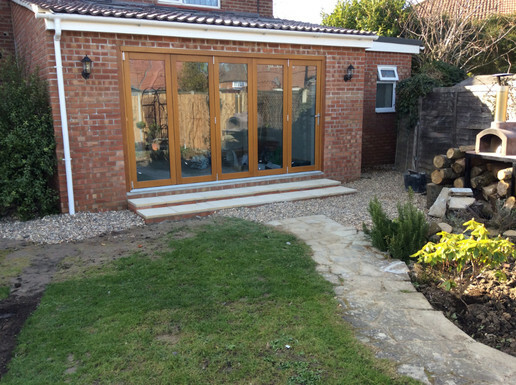 Having been very pleased with the quality of work and level of service we received from Darren on the aforementioned works, we then engaged with him again to quote for a large ground floor extension to our house, which would provide us with a large living room, utility area and downstairs loo. Again Darren provided a consultative service advising on which of our ideas would be most cost effective and feasible; given the space, budget, and planning regulations. Darren encouraged us to seek alternate quotes elsewhere, however given the scale of the project and the level of access required to the house whilst we were at work etc, we felt it was more important to continue to use the services of someone that we had ‘tried and tested’ and could trust to have full access to our home whilst we were out. All of the workmen employed by Darren were pleasant and polite and the job was completed on scheduled and on budget, despite us changing our mind about various things (such as additional velux windows, which involved changing the structure of the roof) part way through the job. We have recommended Darren Bruce building services to various friends and will continue to do so, as we feel that the service and quality of work delivered is first class. Should we ever require building services again we would, without hesitation, go to Darren and no one else. We recently had an extension built on to the side of our bungalow by the above building company. The job from start to finish was EXCELLENT . We were kept well informed of each stage of the work by Mr Bruce ;who made regular visits to oversee all works. All works by D Bruce Building Services was also checked by a building inspector. Even the architect Mr Clive Long, was pleasant company and easy to get on with and very fair with his charge. All the gentleman involved in the work were polite, hard working (even continuing work in the rain and recent storm) and gave an excellent standard of work. The thing we most like about this firm of builders is ;you can feel comfortable with each and every one of the workmen, they are all courteous, respectful and trustworthy. We would have no hesitation in recommending them to any elderly people living on their own; or indeed any person; knowing they would not be ripped off, scammed or intimidated in any way by D BRUCE BUILDING SERVICES. We are ourselves hoping Mr Bruce will work for us again in the spring on a new drive. We are so confident with D Bruce Building Services, we are not even going to ask for any more quotes from other builders for the drive. Darren came round to give us a quote to take down the chimney between our kitchen and dining room. He was very professional and his quote was very competitive, when he started working and right through the job his communication was good and he kept us very informed of what was going on. He did exactly what he said he was going to and for the price he quoted. I would not hesitate in recommending him, he is an excellent tradesman and we have already agreed a price with him to do an extension for us and are looking forward to him working for us again. We were looking for a builder to remove a load bearing wall between our kitchen and dining room, and also to supply and install french doors. Our Architect recommended D.Bruce building services to us and we were not disappointed. All work was carried out to a very good standard and in a timely manor. The finishing was excellent and the work area was always left clean and tidy. We were so pleased with Darrens work we asked him to install our kitchen for us. Again, all the work carried out was to a high standard and completed in good time. We found Darren and his team to be punctual, professional and honest tradesmen. Darren was always on the end of the telephone if we had any questions and always got back to us. Thanks Darren for all your help and we look forward to working with you again. I recently used D Bruce building services for my extension after the birth of my son and need for more room. I needed someone I felt would do a good quality job and at a budget that I could afford. After a few quotes from other builders I hired Darren and was not disappointed in my choice. Every step of the build was explained to me, himself and the men he had working for him were punctual, polite and respectable. I could not have asked for a more approachable team to have had working on my home. The build was completed before expected and on budget and even with my fussy standards have done a fantastic job. I would highly recommend this company to anyone looking for trustworthy, honest and incredibly hard working builders.